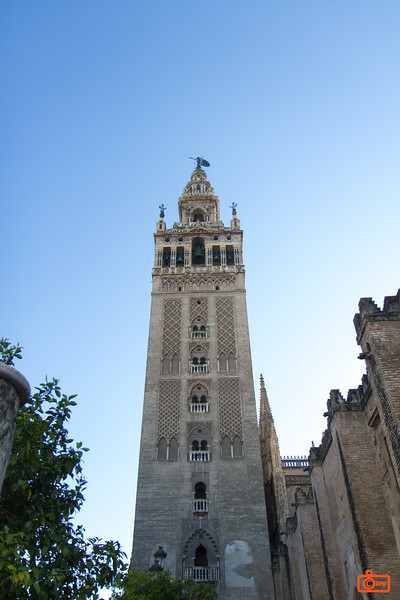 The Giralda is the bell tower of the Cathedral of Seville. Its height is 343 feet (105 m). It was originally part of a Moor mosque (1184) and converted to the bell tower after 1248.